The Tank Museum at Bovington is one of the largest tank museums in the world. 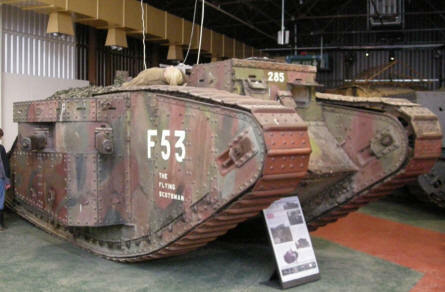 The museum has a very huge and interesting collection of tanks and other armoured vehicles from all over the world. 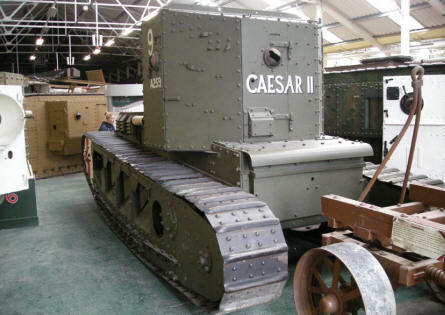 The collections includes some of the very first World War I tanks, a huge part of the tanks used in World War II and also some of the most modern tanks. 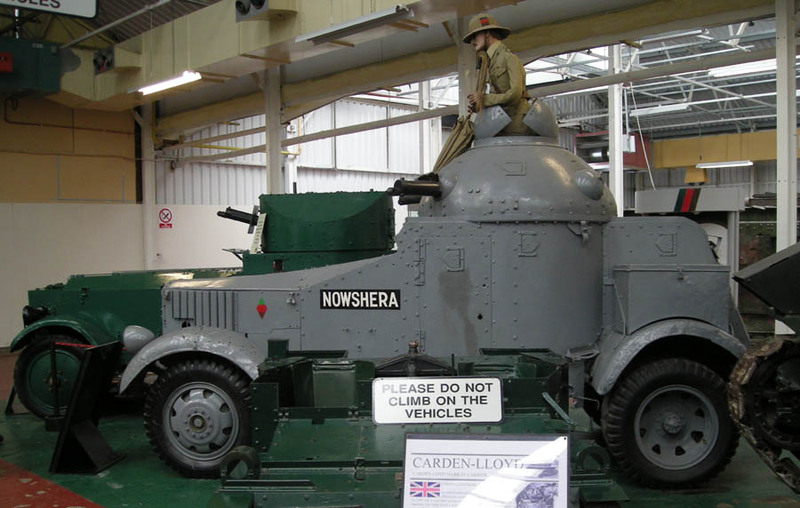 One of the very old armoured vehicles - a Carden-Lloyd - at Bovington Tank Museum. 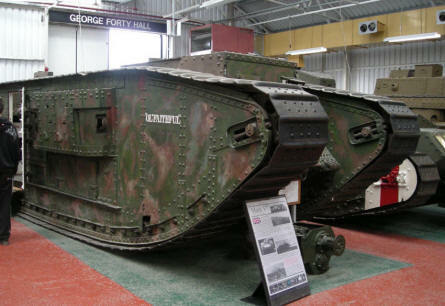 One of the World War I tanks at Bovington Tank Museum. 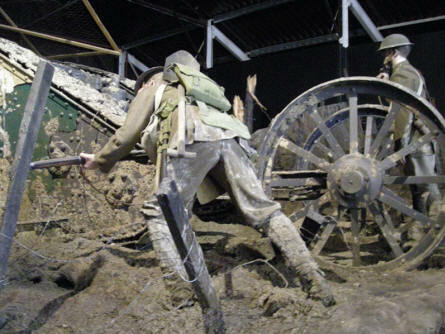 One of the World War I displays at Bovington Tank Museum. A Mark V World War I tank at Bovington Tank Museum. A pre World War II German Luchs tank at Bovington Tank Museum. 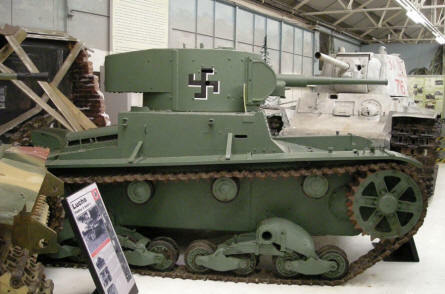 In the background a Russian T-34 tank.